Speaking at the Hay Festival, the country's leading Biblical scholar has claimed that people will download the versions of the Bible they like best, perhaps even mixing and matching different readings. . . . . "In the world we are entering, the concept of the Bible will be completely different," he said. "It has become like an individual copy you have, you can annotate it and change it within the bounds of technological abilities." Prof Parker said the move from paper to digital was as important as the shift from scroll to books. He pointed to the use of words like 'tablet' and 'scroll' in digital media and said it would be used in the same way as ancient manuscripts . . . . I am constantly baffled by how few scholars allow themselves the luxury of illustrating their articles on the Synoptic Gospels with a nice Synopsis of the Gospels. I like to tell my students that there are few articles on the Synoptics that would not be greatly improved by the addition of a nice Synopsis of the passage in question. 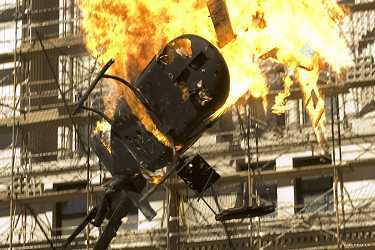 In this respect, Synopses are like exploding helicopters in films. Just as there are few articles that would not be improved with the addition of a Synopsis of the Gospels, so too there are few films that would not be improved by the addition of an exploding helicopter (Roger Corman via Mark Kermode). I suspect that the reticence proceeds from several factors. First, it takes a long time to construct your own Synopsis, even of just the one pericope. Many scholars are computer-literacy-challenged and balk at the pain of constructing their own Synopsis, with all its word alignments and line breaks, let alone having to master the use of a decent Greek font. Moreover, some scholars have never taken a course on the Synoptic Problem and are reticent to risk exposing their ignorance by constructing a Synopsis that misses key pieces of data. And many scholars are happy with the existing Synopses on their desks (these days usually Aland, though some, like me, still prefer Greeven) and they assume, wrongly, that their readers will turn up the relevant page in the Synopsis when they are reading the article. But there are so many benefits to producing your own illustrative Synopses of Gospel passages in your academic writing. For one thing, there will often be a specific piece of data to which you wish to draw attention. Producing your own Synopsis, perhaps with some nice underlining to draw attention to the key point, can help the reader to visualize the data instantly, and without the added hassle of looking up the passage in Aland or Greeven. The effort involved is nothing like as bad as it was in the days of typewriters and drawing. Although it can sometimes be a little frustrating, producing Synopses is like any other element in word-processing -- practice makes perfect. A simple table is the way to do begin, with single line spacing, no paragraph spacing or indents, left alignment and lots of carriage returns. There are plenty of good electronic texts that you can use as the base text too, even if one wishes to tweak them. 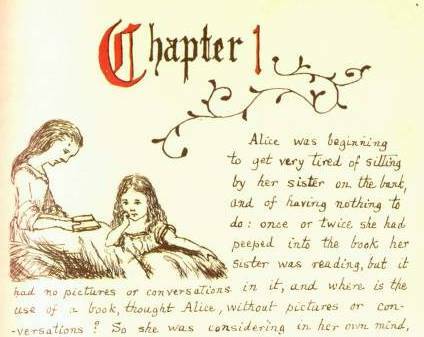 As Alice knew, pictures and conversation break up bland and boring blocks of text. Far too many articles on the Synoptic Gospels are made up of boring old blocks of prose, with no Synopses or tables. And what is the use of an article, thought Mark, without Synopses or tables? Earlier this week, Matthew Montonini posted a link to a fascinating film from 1970, Mansfield College - Marking the Principalship of John Marsh. The film was made by Peter Armstrong, later a BBC Producer, and I made comments about it here on Wednesday, John Marsh, George Caird and Oxford in 1970. The posting of the video led to a Facebook discussion during which it emerged that Jeffrey Gibson was in possession of 62 files of audio recordings of George Caird's New Testament Theology lectures from Oxford from 1979 to 1982. I offered to host these files so that others could also hear these lectures from this famous New Testament scholar. But that is just a list of linked files. The files beginning "NTT1" are numbered from lecture 3 to lecture 38, and they date from the academic year 1979-80. The files beginning "NTT2" are numbered by date (in the format year/month/day) and date from the academic year 1981-2. We are hoping to continue to revise that page as we listen to the lectures and work out what is what. See also Matthew Montonini's blog post. Many thanks to Jeffrey Gibson for sharing the files and the above photograph. Thanks too to Matthew Montonini for interacting with me on this project -- it has been an enjoyable experience. HS: One of your specialties has been the historical Jesus and the background of early Christianity. Do you feel this peregrination of yours has given you a unique perspective? GV: I would like to think that as far as scholarly studies are concerned, this is irrelevant. But it is pretty obvious that what I’ve been through must have helped considerably, first and foremost to acquire the technical knowledge and to understand the viewpoint of an insider. As an insider, you know how the other fellow thinks. At the same time, you come to realize that there is an enormous amount of misunderstanding and blindness and confusion in both camps regarding one another that really prevents them from perceiving historic reality accurately. Perhaps I kid myself by thinking that I’ve performed something useful in producing a historically valid portrait of Jesus without preaching either to one or the other. I trust I am an objective and a detached historian. I don’t want to convert Christians to Judaism. I simply want to learn and to provide knowledge to others who seek to understand things better. An obituary on Friday about the religious scholar Geza Vermes erroneously attributed a distinction to him. He was one of the first to write a doctoral dissertation about the Dead Sea Scrolls — not the first. Well done to Stephen for setting the record straight and well done to William Yardley and the New York Times for making the correction. I am very impressed. The Telegraph could learn from this -- its error-laden plagiarized obituary of Marvin Meyer is still available online with no corrections or apologies (see The Telegraph's Plagiarized Obituary for the story). This fascinating video from 1970 celebrates John Marsh (1904-1994), who was principal of Mansfield College, Oxford from 1953 to 1970. New Testament scholars know him from his Pelican New Testament Commentary Saint John, which was I think the first book I ever read on John's Gospel. They also know him as the translator of Rudolf Bultmann's The History of the Synoptic Tradition, still one of my favourite books on the New Testament (of course). 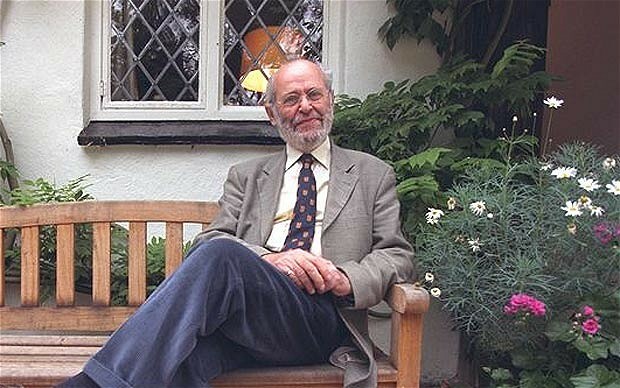 The video was produced by Peter Armstrong, who went on to become a producer at the BBC, where he used John Marsh as a religious consultant. Armstrong produced the BBC documentary Who Was Jesus? with Don Cupitt in 1977. There are many features of interest. New Testament scholars will also be fascinated with the footage of George Caird lecturing on the Epistle to the Hebrews (around the ten minute mark). He is lecturing in his gown, a tradition that has continued across the years, and the audience, almost entirely made up of male students (with one nun) are seen thinking hard and making intense notes. There are some great hairstyles and glasses on show among the students that anchor the piece nicely in the 60s. 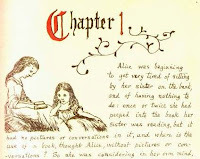 The film also shows footage of a typical Oxford-style one to one tutorial with a student reading his essay on Little Dorrit to his rather young looking tutor. We see a marquee being erected throughout the film, and then at the end a bit of great late 60s style music and dancing, nicely illustrating the contrast with the more sedate academic life. You see Mansfield College's high table, and get to eavesdrop on a conversation between Marsh and Caird. 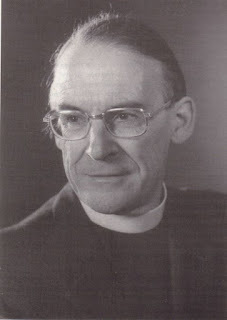 Caird was the incoming principal of the college (1970-77). I ate at that high table myself some years later, on several occasions, as a guest of John Muddiman, who was my doctoral supervisor. The film begins with some wonderful footage of Oxford in 1970. It's remarkable how little traffic there is around. One vehicle is an old-fashioned milk float with the three-wheel drive. And this makes the interview with Nathaniel Micklem (the previous principal of Mansfield) all the more striking -- Micklem comments on how quiet it was in the Oxford of 1911 with "no motors, no aeroplanes and no automatic music, machine music. No tractors in the field. England was quiet. You could hear the lark". Also, don't miss the footage of a "sermon class" at which ordinands sit round and discuss a sermon. A thoroughly enjoyable film for all sorts of reasons. Thanks to Peter Armstrong for making it and uploading it to Youtube, and to Matthew Montonini for drawing it to our attention. 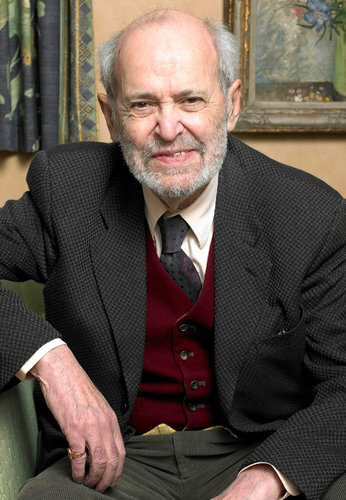 The New York Times has just published its obituary of Geza Vermes, and it is well done. There are comments from Lawrence Schiffmann, David Ariel and me. 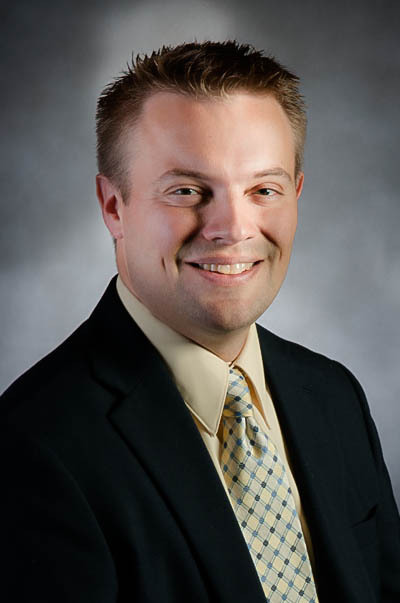 Many congratulations to Joshua Jipp who has been awarded the 2013 Achtemeier Award for New Testament Scholarship Richly deserved! I was lucky to have Joshua in my graduate class on the Gospel of Thomas in 2007. He left us to take a doctorate at Emory and is now Assistant Professor at Trinity Evangelical Divinity School. Press release is available here. The full roll call is: T. Michael Law, Sir Fergus Millar, Emanuel Tov, Paula Fredriksen, Tessa Rajak, Joan Taylor, Philip Alexander, Sidnie White Crawford, Timothy Lim, Charlotte Hempel, James D. G. Dunn, C. T. R. Hayward and Jim Davila. How Reliable is the Story of the Nag Hammadi Discovery? James Robinson’s narrative of how the Nag Hammadi codices were discovered is popular and compelling, a piece of ﬁne investigative journalism that includes intrigue and blood vengeance. But there are several different, conflicting versions of the story, including two-person (1977), seven-person (1979) and eight-person (1981) versions. Disagreements include the name of the person who ﬁrst found the jar. Martin Krause and Rodolphe Kasser both questioned these stories in 1984, and their scepticism is corroborated by the Channel 4 (UK) series, The Gnostics (1987), which features Muhammad ‘Ali himself, in his only known appearance in front of camera, offering his account of the discovery. Several major points of divergence from the earlier reports raise questions about the reliability of ‘Ali’s testimony. It may be safest to conclude that the earlier account of the discovery offered by Jean Doresse in 1958 is more reliable than the later, more detailed, more vivid versions that are so frequently retold. It's a superb piece, and features Alexander's own reminiscences as a student of Vermes. There is one rather debatable line, that Vermes "helped launch the new quest for the historical Jesus". The term "new quest" is normally given to the quest that began in 1950s Germany among Bultmann's students, and especially Ernst Käsemann, crystallized in the title of James Robinson's 1959 book, A New Quest of the Historical Jesus. Vermes is more usually associated with the end of the new quest and not the beginning of it. Some link him with the so-called "third quest", though Vermes himself shied away from such labels. But that aside, a fine obit. It's a well-written piece, though it has an error -- The Religion of Jesus the Jew was published in 1993, not 1996. There is also an AP story (HT: Jim West) that has been widely disseminated, e.g. in The Guardian. There are one or two oddities in the piece, e.g. the note that Vermes wrote several books on the historical Jesus, "The first, 'Jesus the Jew,' was published in 1973, followed by 'The Authentic Gospel of Jesus' (2003)". This leaps thirty years, over Jesus and the World of Judaism and The Religion of Jesus the Jew, both of which are mentioned later in the article. Among the bloggers, in addition to those mentioned the other day, James McGrath, T & T Clark, James Tabor and others have tributes. 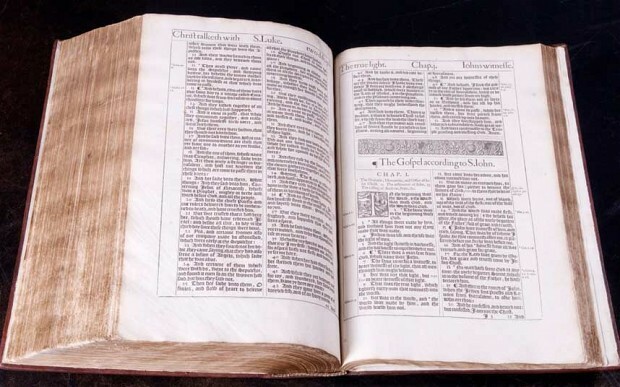 They include pieces on Crucifixion, Writing and Rewriting the Bible, Hagiography, Jews, Christians and Judeo-Christians, Herod the Great, Josephus on Jesus, Isaac, the Dead Sea Scrolls and the Historical Jesus. It is a lecture on "The Story of the Dead Sea Scrolls" (Louisiana State University's Hill Memorial Library, September 29, 2009), in which Prof. Vermes is wearing a Dead Sea Scrolls tie (of the Community Rule)! The Christ Files: Geza Vermes interview from CPX on Vimeo. And in case you missed it, here is the link again to Vermes's appearance on Desert Island Discs in 2000. 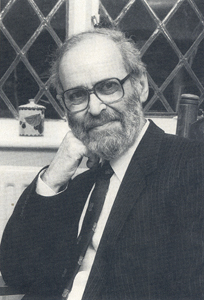 Great sadness, finally, at the death at 88 of the great British biblical scholar Geza Vermes. He was a sweet-natured, scholarly man of Hungarian Jewish origins, who survived the Holocaust, became a Catholic and later reconverted to Jewry. In 2004, on the release of Mel Gibson's bloodthirsty film The Passion of the Christ, with all its claims of authenticity, the Guardian took him to a press preview. As the audience recoiled from the scenes of bloody violence, we could hear him chortling. Why so? "It's quite obvious that none of the actors could speak Aramaic," he told us afterwards. He knew hokum when he saw it. Yet at the same time, Vermes’ work is still problematic for scholarship whether or not this is acknowledged (often it is not). His version of Jesus’ Jewishness did not have a strong emphasis on Jesus ‘transcending’, ‘overriding’, ‘making redundant’, or even ‘intensifying’ aspects of Judaism (Judaism, that is, as assumed or constructed by a given scholar or scholarship more generally) that is still found in scholarship and is not so different from the pre-Vermes era. In other words, this makes Vermes stand out from the constant rhetoric of Jesus the Jew that has come after Vermes. 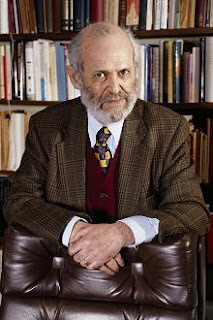 I think it is worth being blunt by stating that scholars continue to use Vermes as a Jewish scholar and his influential work on ‘Jewishness’ to justify supercessionist positions (implicit or explicit) that Vermes would not have accepted nor recognised and, unlike Vermes, often without reading sources from the Judaism supposedly ‘transcended’. Apart from some notable exceptions, Vermes’ challenge has still not been met on a widespread scale in historical Jesus scholarship. I have a lot of sympathy for what James says here. I sometimes wonder whether scholars have learned the wrong lessons from Vermes, looking to take "Jesus the Jew" and find a role for him in reconstructions that are every bit as thickly mired in Christian theological agendas as were the German, Lutheran historical Jesuses of the "new quest" that they so criticize. It's why the subtitle of Vermes's seminal book, A Historian's Reading of the Gospels, is in many respects more important than its main title. John Barclay, "Paul and the Gift: Gift-Theory, Grace and Critical Issues in the Interpretation of Paul"
Thanks to Chris Keith, who also introduces the talk in this video. News item here. Jim Davila and Michael Law have let us know the sad news of the death this morning of Geza Vermes. Geza Vermes was a legend. It is rare for a scholar to make so massive an impact in the guild in different areas, the study of early Judaism and the study of Christian origins. His Penguin paperback, The Dead Sea Scrolls in English, was for many of us our first encounter with the scrolls, and the book has remained in print for decades. 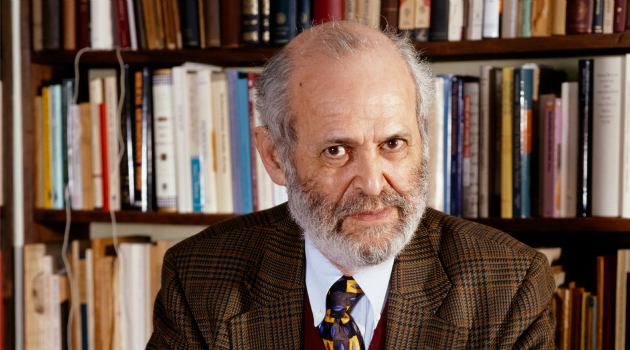 His scholarly contributions on the scrolls as well as on other areas in early Judaism have been seminal, yet he will perhaps be best remembered for his work on Christian origins, and especially the Historical Jesus. It has almost become a cliché to point out that his Jesus the Jew (1973) was revolutionary, but its impact was indeed massive. I remember seeing the book for the first time in our home when I was a teenager in the 1980s and being somewhat taken aback by its title and its appearance, with lots of Stars of David all over it. In the early 1970s, with the new quest for the historical Jesus still in full swing, it was still de rigueur for Jesus to be depicted as some kind of Lutheran figure championing his gospel in contrast to a law championed by petty legalists. The exciting thing about reading Vermes's book was that he had actually read the rabbinic texts that many a New Testament scholar only pretended to know. In many other books in the four decades afterwards, Vermes continued to draw attention to reading early Christian texts in conversation with a proper knowledge of early Jewish texts. He never saw these texts as "background". This was not "the World of the New Testament". Instead, these texts were themselves evidence in the quest, themselves part of the conversation. His enduring legacy was in the subtitle of Jesus the Jew -- "A Historian's Reading of the Gospels". Again it might sound hackneyed now, but that itself is largely the result of Vermes's work -- he stressed the importance of reading the Gospels as a historian would read them. He was effectively democratizing the quest of the historical Jesus. Like all good history, it should not matter who is asking the questions. Like all good history, the study is open to all, no longer thickly mired in the theological agendas of those engaging in the enquiry. When I arrived in Oxford as an undergraduate a year later, I was eager to hear Dr Vermes (then a Reader at the Oriental Institute) in person. For me, it was like seeing a celebrity. I went along to a talk that he gave about Jesus: The Evidence (later published -- see note here) and loved it. And later, when I took a special paper on Varieties of Judaism, I went along to his classes on the Testaments of the Twelve Patriarchs. It was a privilege not many Oxford students took up. While E. P. Sanders and Tom Wright were lecturing to hundreds in the Examination Schools, Geza Vermes was talking to just a handful of us in the Oriental Institute. As a graduate student and later also as a scholar, I occasionally got to meet Geza Vermes. I remember how on one occasion at lunch at Wolfson College, where Vermes would mix with the students, and chat away to his colleagues, he explained to me why he thought that most approaches to the Synoptic Problem were wrong. He noted that his article on forty years of the Dead Sea Scrolls had gone through so many different versions that he himself did not know which one was prior and which one was later. He imagined that something quite similar might have happened among the evangelists. The last time I saw him was sadly now a decade ago, when we were both part of a controversial BBC documentary filmed at the Oxford Centre for Hebrew Studies, focusing on the Virgin Mary. He was witty and charming, and I remember that he was very happy to have his simple sandwich lunch provided at the BBC's expense. 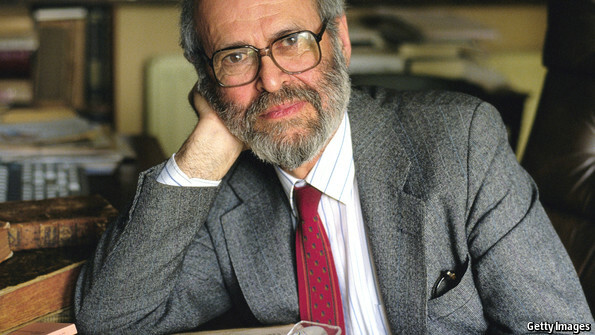 In spite of his erudition, Geza Vermes was a gifted communicator and understood well how to appeal to a broader public. 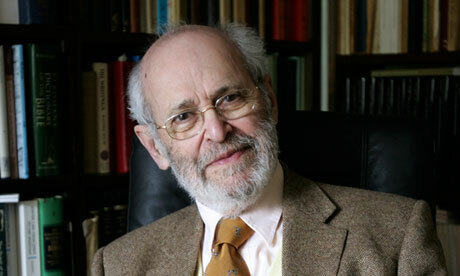 His little books were hugely popular, and he often wrote short op-ed style pieces for British newspapers. To my amazement, he was also a consumer of the blogs, and sometimes popped along to this blog to comment. 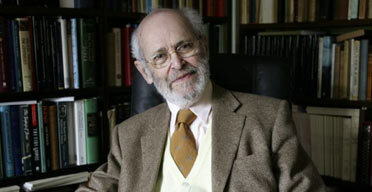 And what's more, he's the only scholar in our area that I can think of who has been on Desert Island Discs. And that really is matter of distinction. (You can download or stream the episode, which was broadcast in 2000, here).